In the chaotic period immediately following World War I, a struggle for the soul of the German people began between the radical Communists on the left and the strident anti-Bolsheviks on the right. The 1919 campaign for the National Assembly stimulated propagandists on both the Right and the Left, which manifested itself in a classic battle of slogans and images plastered to the walls of German cities. On one side, the proletariat created posters calling for a restoration of order in the streets and, on the other, posters called for revolution. Similar in style, the propagandists produced posters that are purposefully crude, dark and expressionistic. 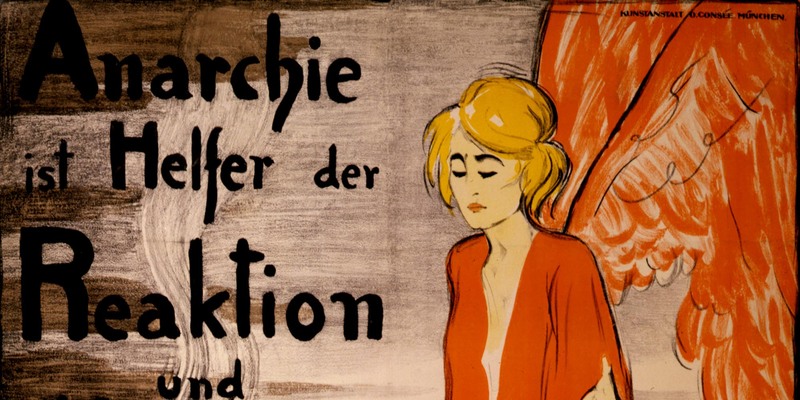 Each poster tackled the problems of hunger, unemployment and exploitation left in the wake of the War with the intent to capture the hearts and minds of a divided and conquered German public.